Wheatland supports the recently announced initiatives by the Trump administration to increase the use of domestically made steel in steel pipelines, increase the domestic steel continent in fabricated products to grow U.S. jobs and allow communities across the country to take advantage of a manufacturing renaissance. Wheatland Tube had the opportunity to participate in a podcast addressing this topic. Lauri A. Rollings, Executive Director of the Plumbing Mechanical Sheet Metal Contractors’ Alliance was the moderator and Greg Maurer, Director of Technical Services for Wheatland Tube provided his views and a few key insights on this topic. Wheatland supports an open and fair market in which to compete in and recognizes that customers have a choice in suppliers and appreciates the long standing commercial relationship with PMSMCA member companies. Wheatland makes its products to comply with customer requests and provides efficient and reliable service and deliveries of its products to customers. 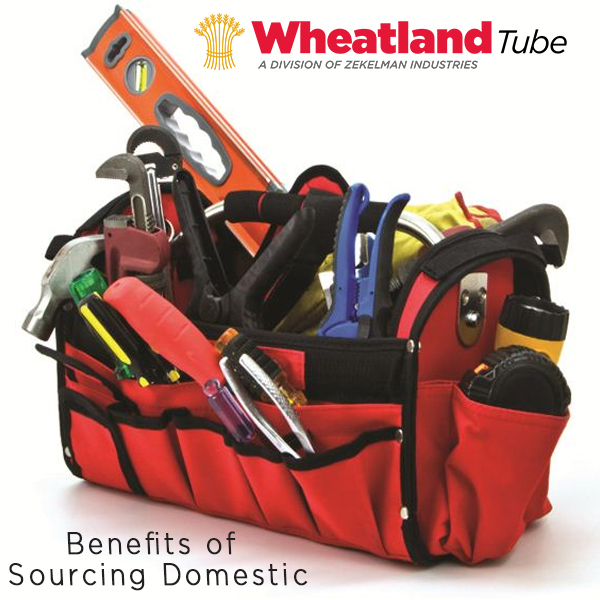 Wheatland can address any product anomalies immediately and can resolve manufacturing issues in an expedited manner. Domestic products are made to comply with national standards and are tested on a regular bases to ensure product integrity.